Taiwan’s government has been continually working to improve the island’s startup ecosystem through easing regulations. Premier William Lai has even declared an ambition to foster Taiwan’s first unicorn – a private startup with market capitalization over US$1 billion – within two years. But to do all this, Taiwan’s local startups first need to expand into global markets. Business Next discussed this with Christian Knipfer, manager for international and government relations at Plug and Play, a startup accelerator founded in 2006 in the heart of Silicon Valley. Plug and Play has invested in famed companies, including, Dropbox and Paypal, when they were early-stage startups. It claims to be the world’s largest startup accelerator. Knipfer was in Taiwan on his first visit, attending the “Ideas Show” held in the capital Taipei. “This is my first time in Taiwan, and I (have) already seen some advantages for Taiwanese startups,” Knipfer said. Knipfer said his impressions gained at the Ideas Show were that Taiwan was internationally renowned for its talent pool, particularly its high tech talent, which had made a deep contribution to successful brands including HTC, Acer and Asus. However, he urged Taiwanese startups to “get out from the comfort zone” and aim for global markets. Taiwan’s “domestic market is pretty small based on its population (size),” he said. Knipfer pointed out Taiwan’s geographic location made it the perfect gateway to Northeast and Southeast Asia. “However, this is the advantage and also the challenge for Taiwanese startups.” Knipfer said. Knipfer said in his role as one of the judges at the Ideas Show he had witnessed many Taiwanese startups with innovative ideas. But he thought it would be narrow-minded of them if they were only based in the island’s domestic market. When asked for suggestions about how Taiwanese companies could do international business, Knipfer said he thought startup founders and bosses should hire fluent English speakers to do their public relations work and otherwise communicate with investors. Story-telling skills are “extremely important for a startup to be seen,” Knipfer said. Knipfer’s second tip for startup founders was to avoid trying to give the impression they are experts in all kinds of technology and not pretend they are capable of things they can’t do. He noted that AI and blockchain are “definitely the hottest technologies” but this doesn’t mean every company needs to follow this trend and create its business around these technologies. It’s like the fashion industry, he said. People shouldn’t follow every single fashion trend. Instead, they should find the clothes that suit them. “ You have to realize and… identify what’s the key advantage that your business possesses, then …search which market is suitable for you to explore, then … expand. “You have to plan carefully … starting a business.” Knipfe said. Knipfer said for at least three years the Taiwan government for had been cooperating with Plug and Play, which runs programs in 25 cities across the world. The cooperation began when Taiwan began to realize the importance of cultivating a startup ecosystem. So far, there is no Plug and Play program in Taiwan. Plug and Play plans to keep expanding its numbers of overseas programs as it builds a global network of connections in order to spark more cooperation possibilities, Knipfer said. It currently has 220 corporate partners and 200 venture capitalists in its ecosystem. “We cooperate with big corporates since we believe firmly that they are the experts in their industry. “For instance: Cathay Holdings is one of our partners …. we’d need their professional knowledge to select the qualified startups into (our) Fintech programs,” Knipfer said. The article Plug and Play’s Christian Knipfer describes Taiwan’s strengths in building a startup ecosystem first appeared on BusinessNext. 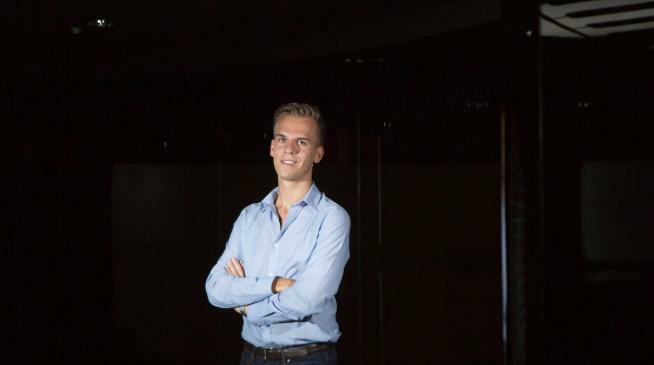 The post Plug and Play’s Christian Knipfer describes Taiwan’s strengths in building a startup ecosystem appeared first on e27.